Almost every time you apply for new credit, the lender credit check will usually result in a hard credit inquiry being noted on your reports, which will likely cause a small ding to your credit score. That’s because lenders see an application for new credit as a desire to take on more debt. Doesn’t make sense? Think of it this way: if a married person were to sign up for an online dating site — whether or not they really intended to do anything wrong — their spouse would likely view the action as a major negative. Whether or not you intend to take on more debt, hard inquiries represent the ability to, and that’s enough to ding your score. In most cases, you can’t obtain a credit card without a hard inquiry, though you may avoid some wasted inquiries by checking for pre-qualification offers before you apply. The only exception seems to be a popular “shopping cart trick,” though the trick seems to have mixed results. While the idea of skirting the rules and avoiding a hard credit inquiry is appealing to many prospective applicants — particularly the churners who most readily accrue inquiries — the fact of the matter is that inquiries generally can’t be avoided if you want a new line of credit. All major open-loop credit card issuers will check your credit reports before approving your application, which automatically means a hard credit inquiry. That being said, you may be able to reduce the number of hard inquiries you have on your report by checking for pre-qualification offers before you fill out a full application. Credit card pre-qualification, also called pre-approval, uses a soft credit inquiry (the non-damaging kind) to get a basic idea of your credit risk to estimate whether you would be approved for a given card. Credit card pre-approval can be especially helpful for those who have lower credit scores, as these consumers are overall most likely to be rejected for a credit card, but it can also be useful for those with good scores applying for a harder-to-get card. The issuers below make it easy to find pre-qualification offers, providing quick online applications that will only require your name, address, birthday, and the last four digits of your Social Security number. 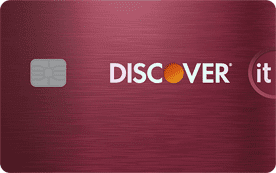 The Discover pre-approval process is simple and can be completed entirely online through the Discover website. 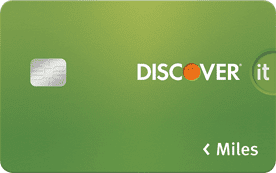 Discover’s entire catalog of cards come with no annual fee and cash back rewards, and many Discover cards also include introductory 0% APR offers. Getting pre-approved for a Capital One card takes just a few minutes online through the Capital One website. In addition to its popular Venture® Rewards cards, Capital One also offers a range of other solid rewards cards, as well as a number of business card options. Citibank’s pre-qualification form can be completed quickly online and you should get a response right away. Citi’s family of credit cards includes over a dozen options, including many co-branded cards for popular airlines and merchants. Checking for pre-approval offers from Bank of America will require you to sign into your online account if you have one, though you have the option to continue as a guest. Bank of America’s card offerings include several no-annual-fee options with solid rewards, as well as a range of co-branded cards like its MBL series and nonprofit Affinity cards. Though it may not be a law in the legal sense, one of the universal “laws” of the bureaucratic world of paperwork and fine print seems to be: Where there’s a will — there’s a loophole. Enter the “shopping cart trick.” A hard-inquiry loophole supposedly exploited by some online shoppers, the trick involves taking advantage of store credit card offers that pop up during the online checkout process for a number of retailers. 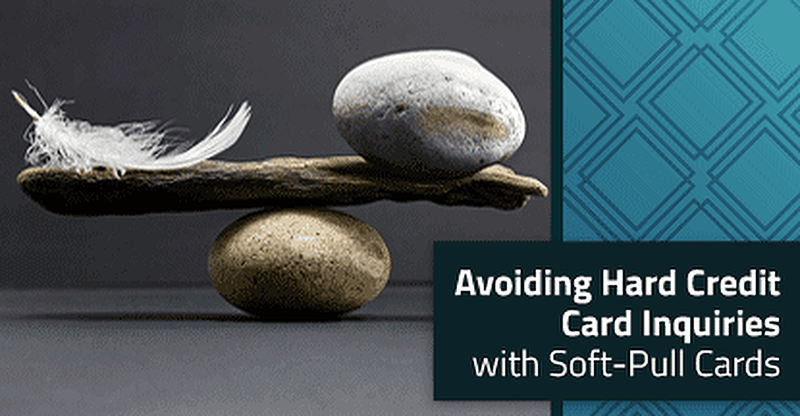 Of course, you may need to take this trick with the proverbial grain of salt. According to consumer finance site, WalletHub, the shopping cart trick isn’t a way to get approved for a credit card without a hard inquiry. Instead, WalletHub says it’s only a way to get pre-approved, which simply gives you an indication of how likely you are to be approved if you do apply. If you don’t believe the naysayers and want to give the trick a try, you can do so easily online. You’ll need to be opted in for credit card offers — this is automatically the case, unless you’ve purposefully opted out — and have your popup blockers disabled, since most offers appear in a popup. You then go to an eligible retailer’s online store and place a few items in your shopping cart. Continue the checkout process as normal, being sure all the information you enter is the same as shown on your credit report, including your name and address. Providing the trick has worked, at some point before the final checkout page, you should be presented with a store credit card offer. According to reports, accepting this offer should result in only a soft credit pull, rather than a hard pull. However, some reports warn that if, at any time, you are asked for your full Social Security number (rather than only the last four digits), it may end up being be a hard pull. While this trick reportedly only works reliably with store cards offered by Comenity Bank, it may work with some cards from Synchrony and Wells Fargo. We’ve put together a few of the cards that have been reported to qualify for the shopping cart trick below, but remember that your own experience — and success rate — will likely vary. The Express Next Credit Card can be a boon to frequent shoppers, providing an 8% rewards rate on Express purchases by giving cardholders a $10 rewards certificate for every 2,500 points (which means $125 in eligible purchases). Keep in mind that the Express Next Credit Card comes with a pricey 25.99% APR, so be sure to pay off your clothing purchases right away to avoid paying large interest fees. While the Gamestop PowerUp Rewards Credit Card offers a hefty-seeming points bonus — 5,000 points for every $250 you spend — those 5,000 points are only worth a $5 coupon, which amounts to a pretty basic 2% rewards rate. You can boost your rewards into overdrive by being a PowerUp Rewards Pro or Elite member, but that membership will cost you at least $15.99 a year to obtain. Plus, the giant 27.99% APR means it will get very expensive if you carry those game purchases beyond your due date. The Victoria’s Secret Angel Card offers a decent 4% rewards rate, with every 250 points earning a $10 Angel Rewards certificate. Though competitive for a store card, the 25.99% APR charged by the Victoria’s Secret Angel Card is anything but angelic. Always pay off your purchases before your due date to avoid being hit with large interest fees. Sometimes, despite having the purest intentions, our actions can be misinterpreted in all the wrong ways. This can happen when curiosity pushes us to sign up for websites we maybe shouldn’t, and it can also happen when we sign up for new credit cards. Depending on the disposition of your spouse, an innocent dating site experiment might be laughed off — or you may be looking at a few bad nights of sleep on the living room sofa. Your hard inquiries, on the other hand, will generally take a bit longer to disappear; most hard inquiries will stay on your credit report for up to two years. But you aren’t doomed for those two years, particularly if you’re prudent about how many new applications you make. One or two hard inquiries generally won’t cause significant damage to your credit score, nor will a handful that are spread out over six months or so. Plus, hard inquiries will typically affect your credit score less over time, with most of the impact dissipating after the first year. So, while it’s best to only apply for new credit in moderation, don’t let a hard credit inquiry stop you from applying for a new card you may actually need.